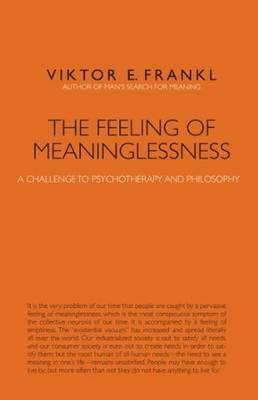 In The Feeling of Meaninglessness, Viktor Frankl, the founder of logotherapy, a psychotherapeutic method which focus on a will to meaning as the driving force of human life, takes a look at how the modern condition affects the human search for meaning. In this series of articles and essays, he discusses how many people suffer from pervasive feelings of meaninglessness in their lives, despite the great material comforts of industrial society. He attributes this sense of meaninglessness to a neglect of our existential needs and offers practical insights and guidelines for how to overcome this meaninglessness and regain mental health through engagement with our existential needs and selves.